Be the master of your ship on this adventure - paddle along the coast in your own kayak, look out for porpoises and seals, wild camp on the shore, and enjoy a fire-cooked feast of fresh marine delicacies under the stars... discover the best bits of the Lizard Peninsula in just one weekend! Sea kayaks are used around the world for expeditions ranging from a few hours to many weeks, as they can accommodate up to three paddlers with enough room for camping gear, food, water, and other supplies. 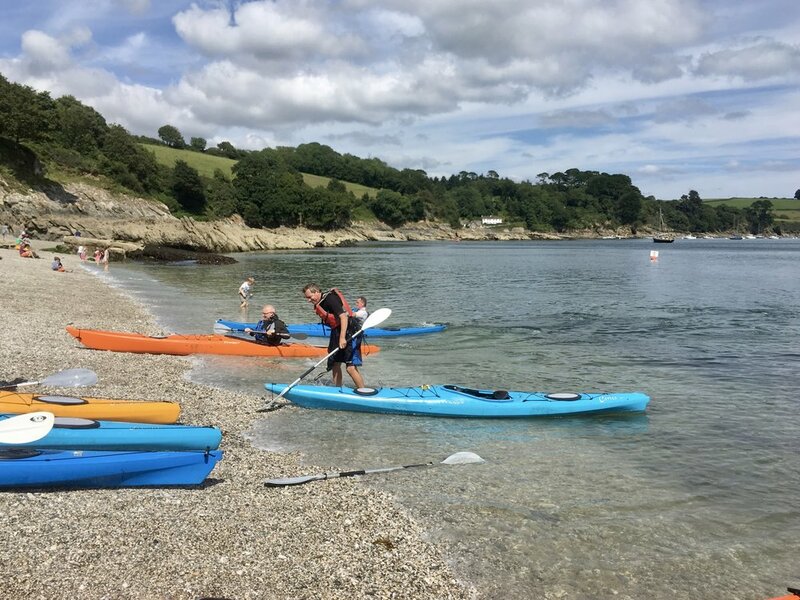 It's a great way to explore places that you can't access on foot or car - from your sea kayak you can find your own private beaches, explore isolated coves, paddle over reefs, go fishing and get really close to marine wildlife. On this brand new weekend exclusive to Explorers Connect you'll get a unique kayaking and wild camping adventure, journeying along the beautiful Lizard Peninsula in Cornwall - being almost completely surrounded by the sea its climate is probably the warmest in Britain. Carrying everything you need in your sea kayak, each day you'll explore a different bit of the coastline, learning how to fish and forage along the way. You'll spend two peaceful nights wild camping in private, secluded spots - one deep in the woods and the other right by the waterside. We reckon this is truly one of the best ways to explore Cornwall! EC adventures are informal, friendly and great fun! They're made up of singles, couples and small sets of friends with ages typically ranging from mid 20s to mid 40s but anyone over 18 years old and young at heart is welcome. Whether it's your first time exploring the outdoors or you're an adventure professional, EC adventures are a great way to meet like-minded people in a safe, welcoming and fun environment. You don't need any previous experience of sea kayaking to come along as you'll be accompanied by your friendly instructors the whole time. 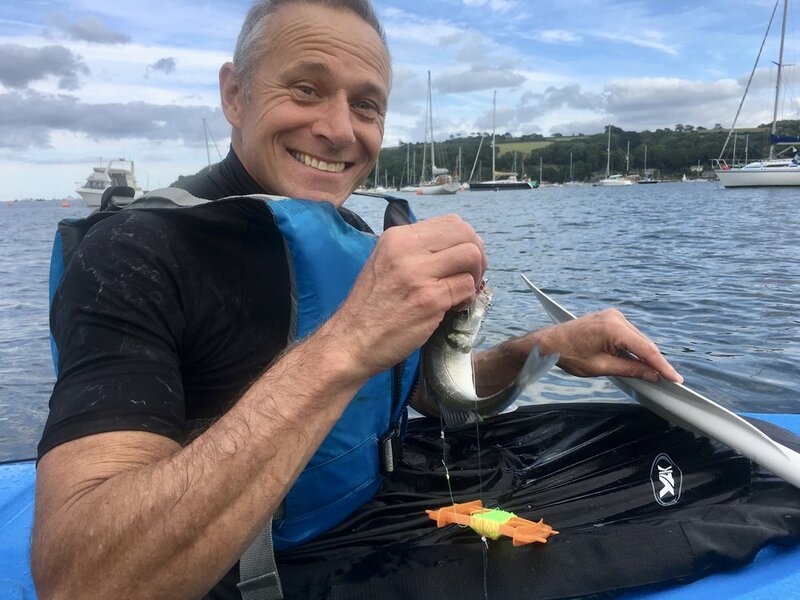 On Friday you'll meet your guide Ian and the rest of the group at the Fat Apples Cafe around lunchtime, then you'll get allocated a sea kayak and given all your safety equipment followed by an introductory session on how to pack your sea kayak for the weekend. When everyone's set up camp, Ian will take you to a secret spot to watch the sun set (weather-dependent), and then you'll have dinner together at a local pub just up the road. Once back at the campsite you'll settle down for a relaxing night under the trees, immersed in nature. Saturday morning will start with a breakfast together at camp, then you'll pack up your stuff into your sea kayak and head to the launch beach to start your full day of adventure paddling along the coast! You'll stop for lunch and spend time foraging for local mussels and oysters on the banks, plus you'll get a chance to do some fishing for mackerel and other delights... at the end of the day you'll reach a secluded wild camping spot on the Helford River. Once you've set up camp you'll cook your catch of the day over the fire along with your dinner and enjoy eating under the stars, with no-one else around. For a truly alfresco dessert you can toast some marshmallows! On Friday night you'll be based in a secluded wild camp in the woodlands next to the Fat Apples cafe. The facilities there are basic but it’s a truly idyllic spot - you’ll camp beneath the trees and there’s a stream running through the site. There is a proper toilet with sink but no shower - if you like you can get some fresh water from the stream for an 'eco-shower'. The next night you'll spend wild camping along the coast as you journey to a different spot - expect some stunning riverside scenery. As you're wild camping though there won't be any proper toilet or shower facilities - see the kit list below on what we advise you to bring! The instructors will carry plenty of water throughout the weekend and there are freshwater sources along the way. We would recommend you bring a full water bottle to start with and then you can top up as you go. You can download our recommended kit list for sea kayaking expeditions HERE. With the sea kayaks you can only carry what you can fit in the holds so bulky equipment isn’t recommended. Top tip: If you are booking with a friend or partner you can share a stove to save space. If you have any special dietary requirements we can cater for you for the supplied meals above but please let us know as soon as you book. To book you'll need to pay £100 deposit with the remaining balance due by 14th July 2018.